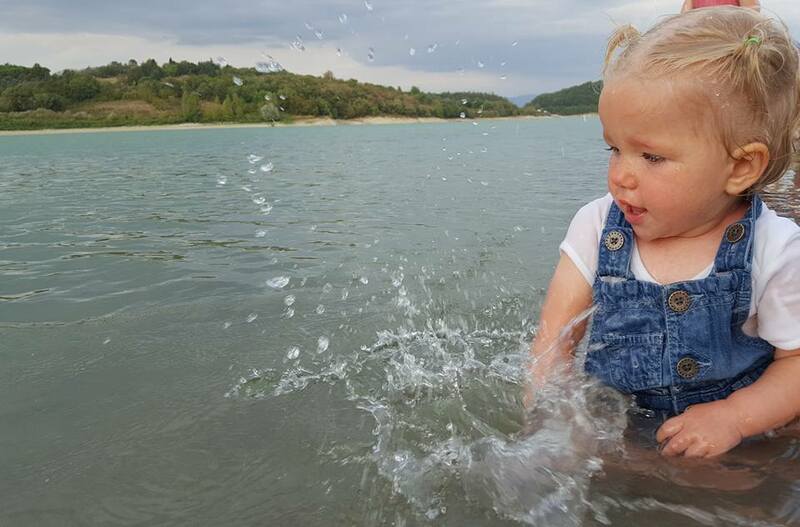 The main goal of our recent holiday in Tuscany was to relax, get some sunshine and visit the beach. We had lush sunshine and it was over 30 degrees everyday, but aside from a couple of beach trips, the trip was far from the easy relaxing trip we anticipated. 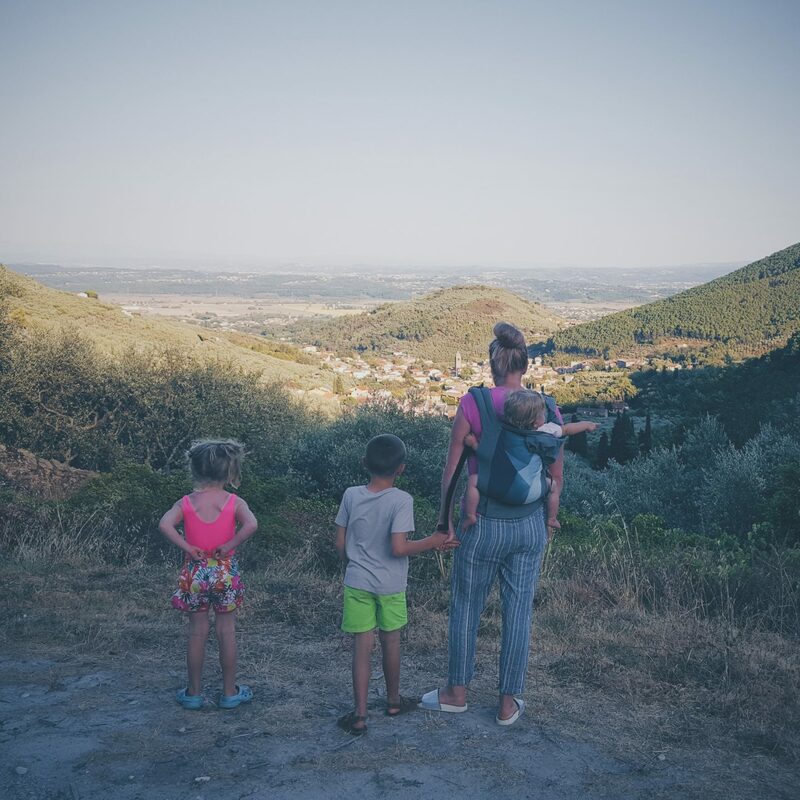 It was jam packed with adventures, whining kids, late nights, pasta, and despite the madness, we still had a brilliant adventure in a wonderful part of the world. We flew to Pisa airport in the evening of the Wednesday from Leeds/Bradford, and arrived around 11pm, so it was a late one but the kids coped well fuelled by excitement and the bag of Haribo they talked me into at the petrol station on the way! 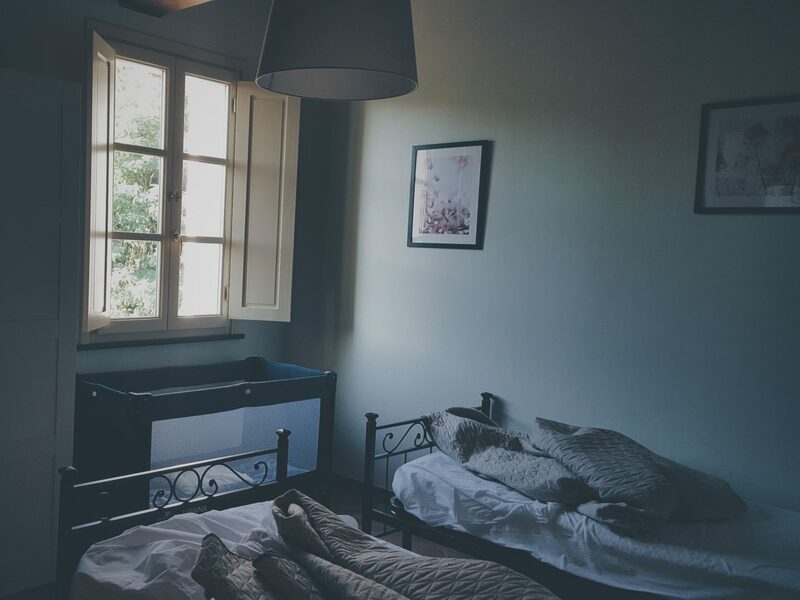 We stayed overnight in a guest house just down the road from the airport, and then picked up our rental car the next morning. 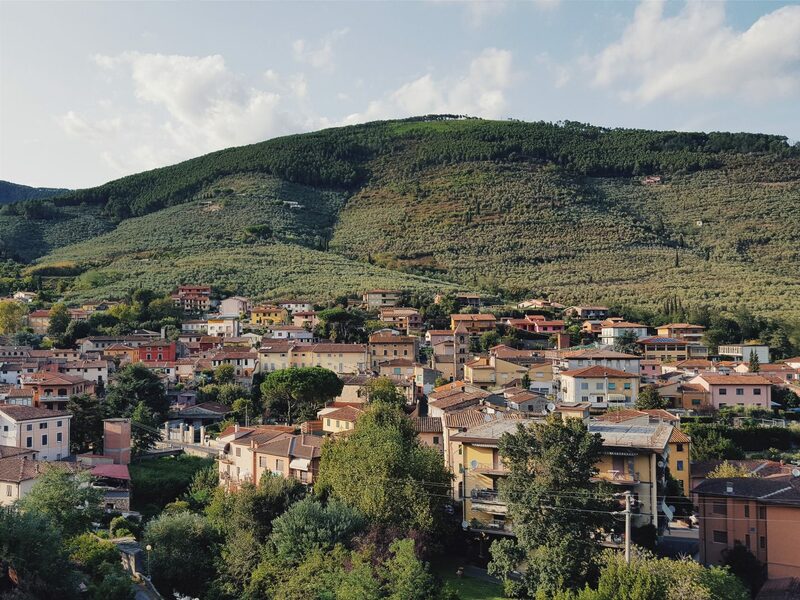 We had booked an Air bnb in a village called Buti, which is just a little drive outside of Pisa, nestled in beautiful mountains and olive groves. It far exceeded our expectations and was simply stunning! 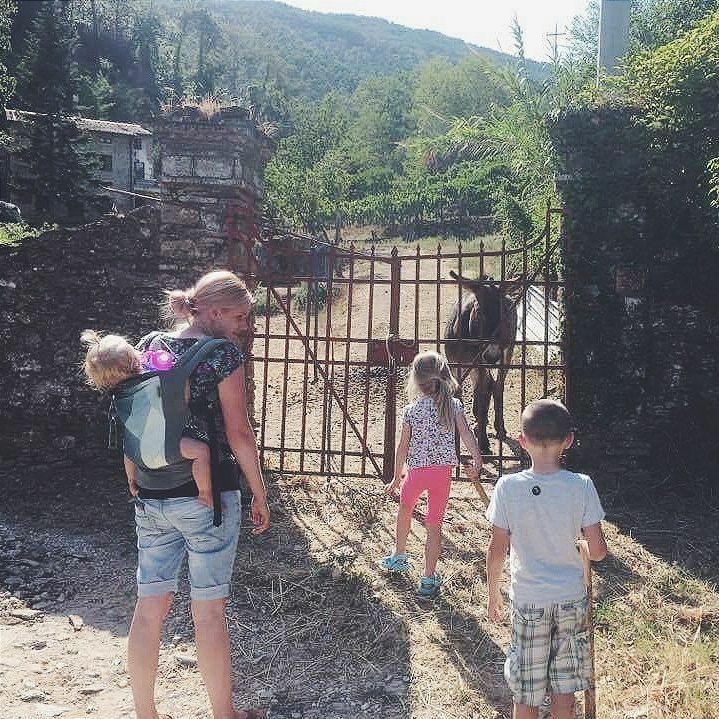 The house was part of a large farm house, nestled up the side of a mountain and surrounded by groves of olive trees dirt tracks and animals! 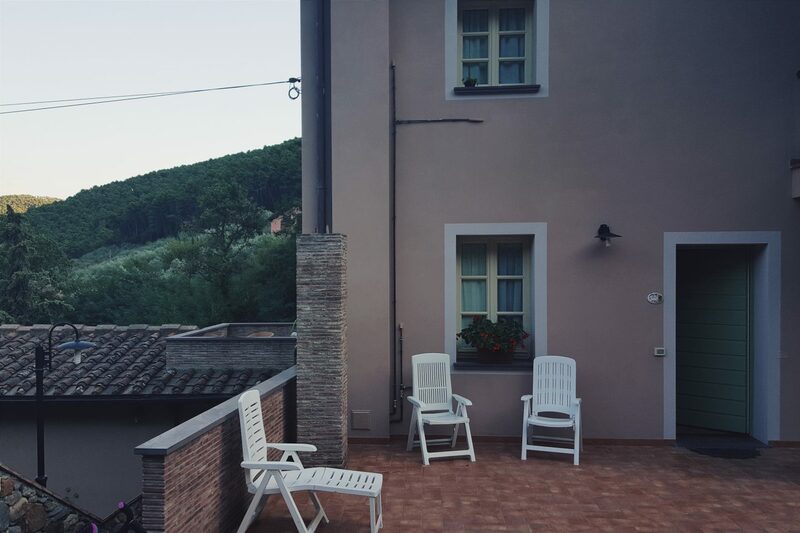 We had our own balcony, modern interior and the neighbours were cute old Italian locals! 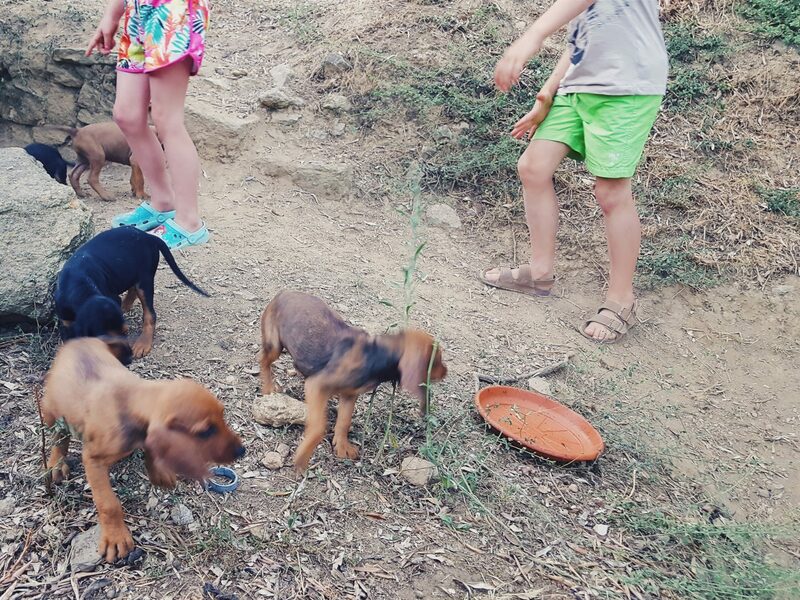 As it was a farm, the kids had freedom to see the animals, and especially enjoyed the new pups which the visited daily (once letting out the mum – don’t ask!!!). Up the track, was a tiny 13th century church, and at every turn was beauty and amazing views across the valley. 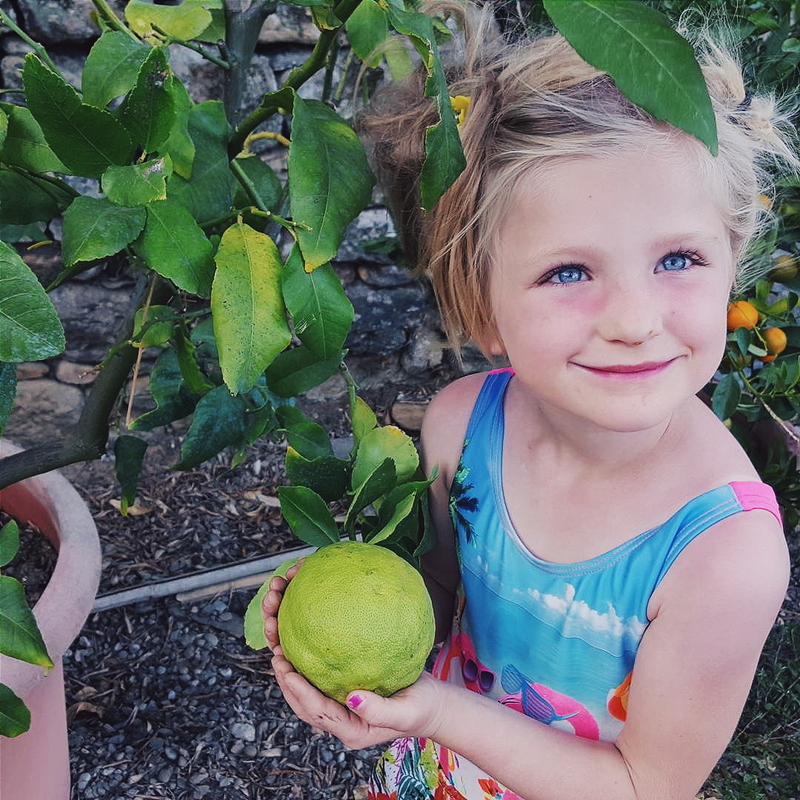 We has pomegranate trees, citrus, figs, bamboo, and at nighttime only heard the crickets and farm animals – it was most idyllic and one of the bonuses of going through Air bnb when you travel. 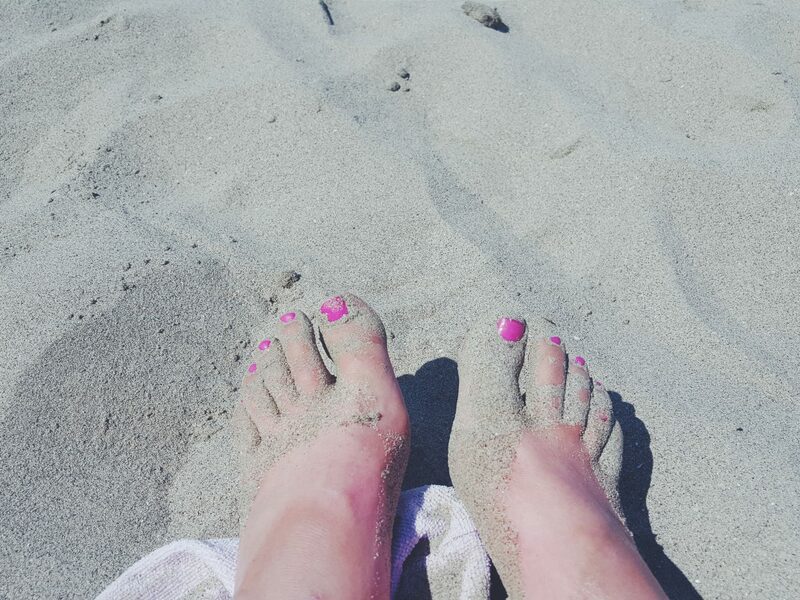 On our 3rd day we were finally settled in and ready for some sand and sea. By recommendation we drove a little ways up from Pisa to a gorgeous part of Italy known as “Chinque Terre”. We went to both Lavento and Vernazza and found it to be a beautiful coastline with quaint little streets and colour everywhere, and the smell of muscles, baked breads and garlic! We did a lot of driving up steep windy mountain roads and the whole experience was surreal and breathtakingly beautiful! 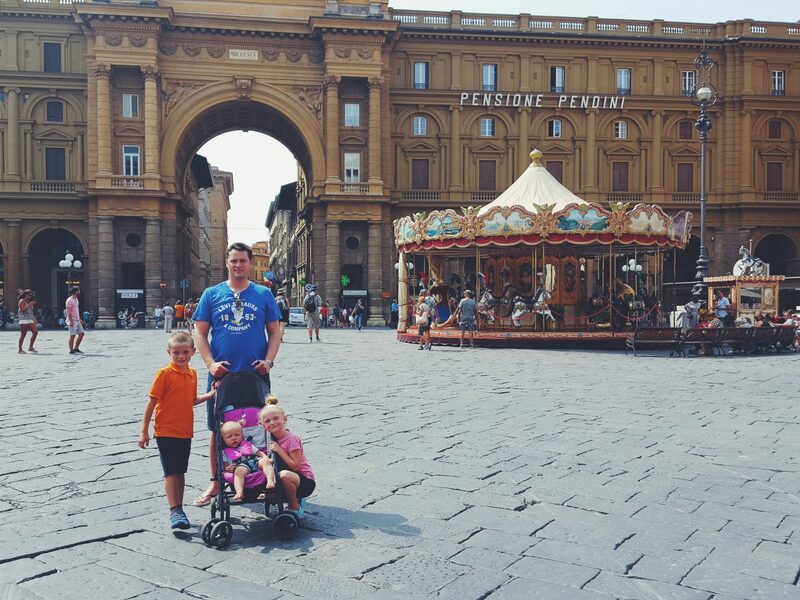 As we were only an hour way from Genoa, and it being a place Nathan really wanted to go to, we deiced to drive a little further north in the afternoon and spend a couple of hours there. 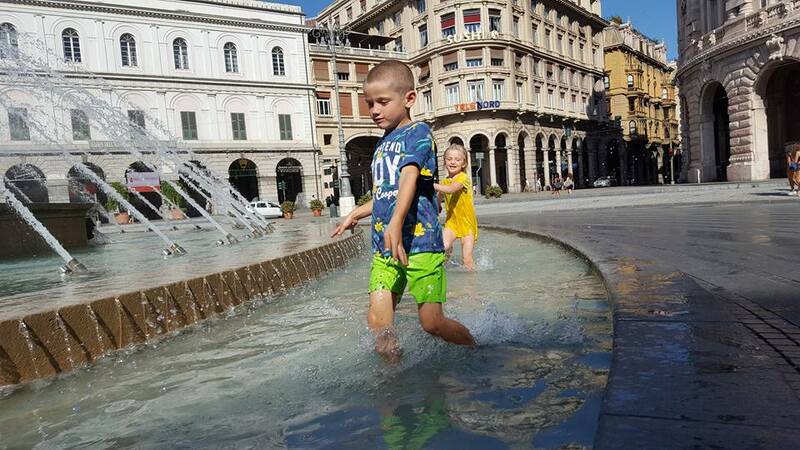 Of course my kids were the rowdy ones, wading through the fountains when we got there, but I am glad we went because it was a really lovely city. 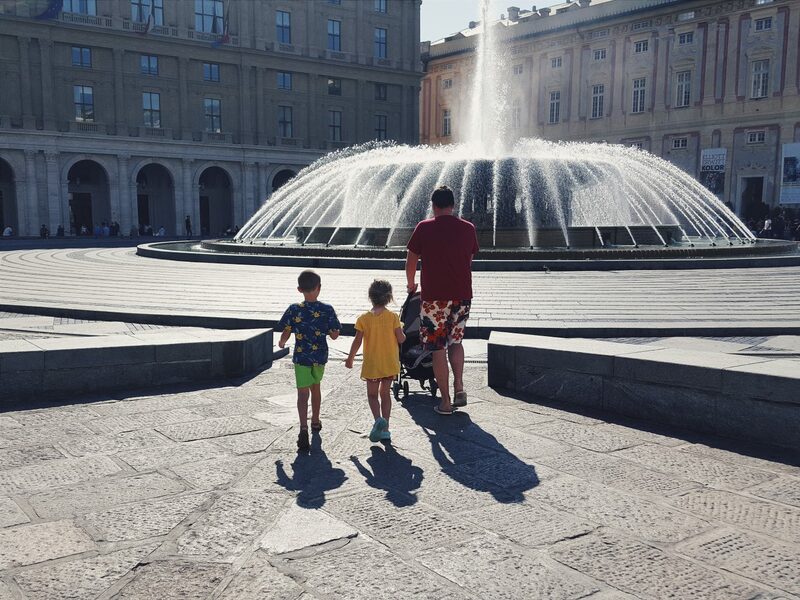 The fountains were spectacular (and very inviting), and it was great to see history at every turn and amazing architecture … Christopher Columbus house was small but cool to stand on the forecourt of, and just to be in a place he lived, pondering upon his life and legacy! 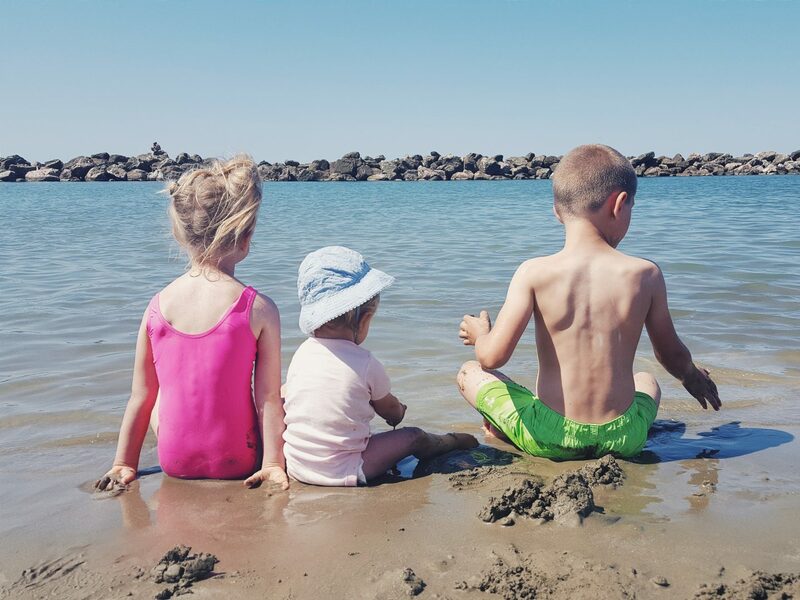 This day ended with the kids swimming in the sea at 10pm – perfection! 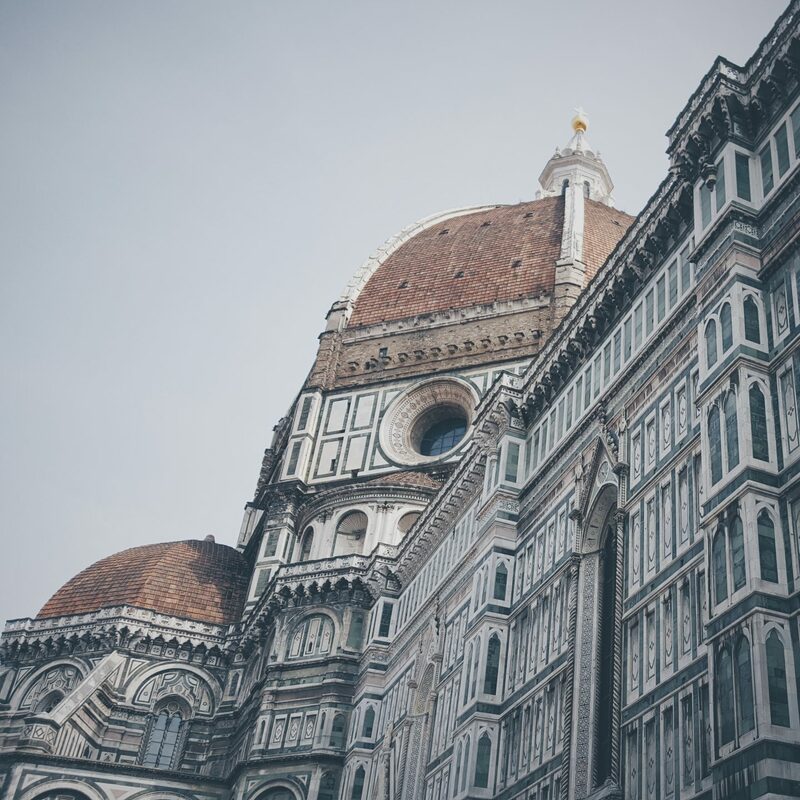 The next day we drove to Florence, which I had high expectations for. I dont know why but its one of those cities people talk a lot about. It was a great city and had beautiful architecture yes, but wasn’t my fave. There was lots to see if you were willing to pay (which we didn’t see the point of with our rowdy crew), but being only 45 minutes from our house, it was certainly worth an afternoon to just wander and see the city as a whole. 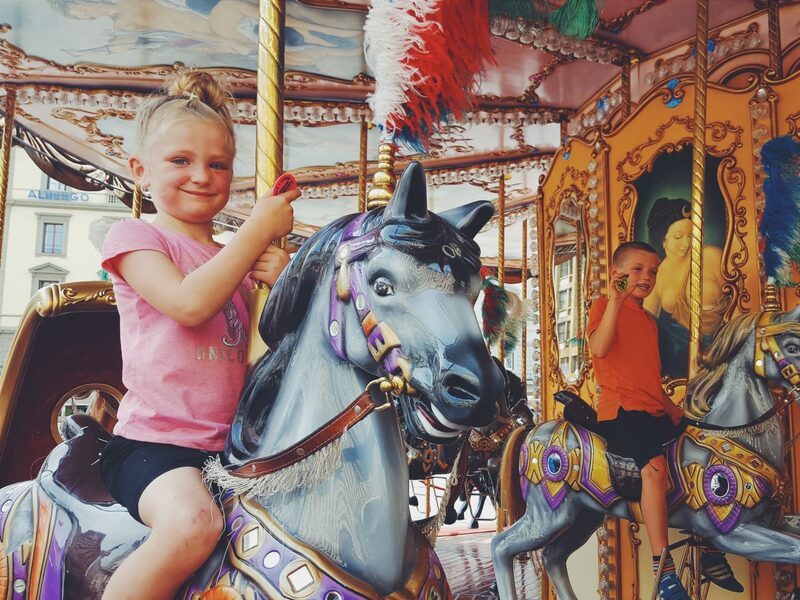 The kids found a carousel and we just took it easy admiring the buildings and cathedral. On the way home we took a different route and called by Lake Bilancino. It was beautiful, clear, turquoise and warm, and a lovely evening spent paddling and chilling together. I think next time it would be fun to spend a day there and do some water sports or just have a picnic, but we found to be a lovely spot enjoyed by locals and tourists alike. Finally we saw Pisa and it was brilliant … we saw it Sunday afternoon following church and was totally worth the wait. Everything about it was charming and exciting and I had a lot of fun there. 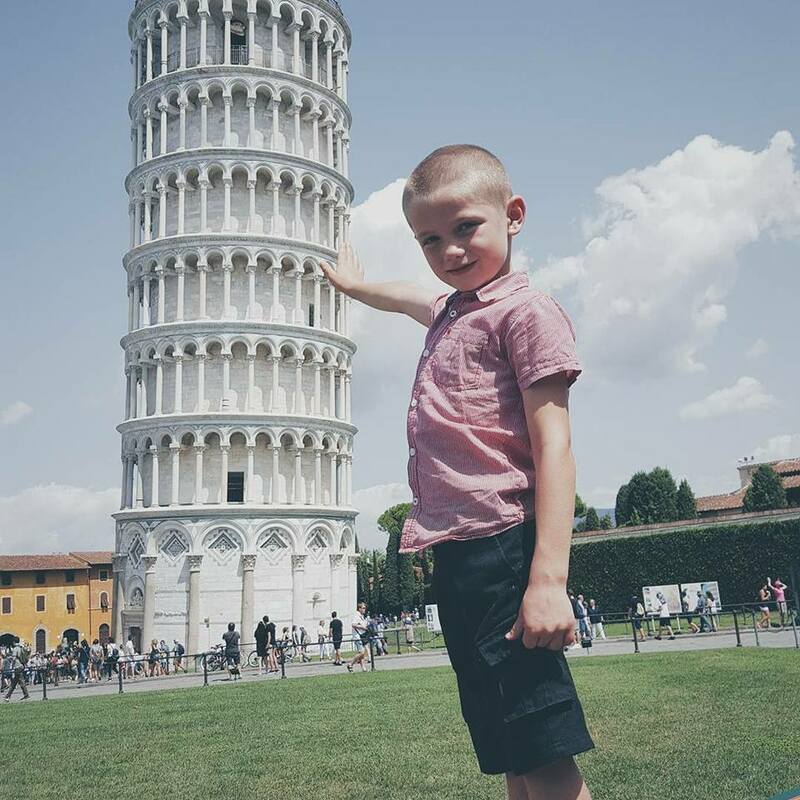 We did all of the cliche tower pics and it was a place that really impressed the kids too. 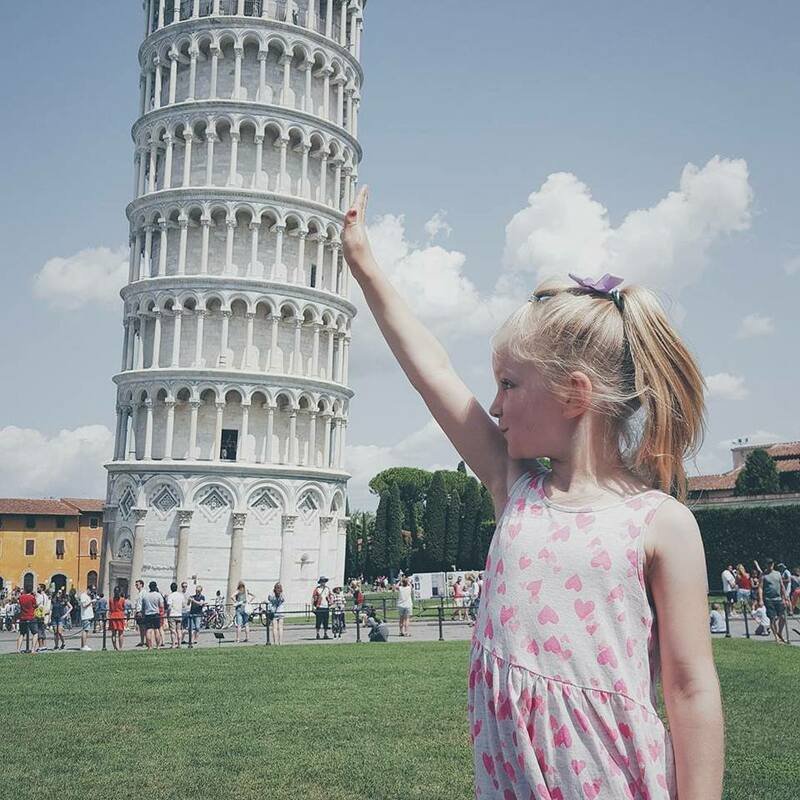 Site seeing can sometimes be a challenge with kids, especially when its more old stuff in the blazing sunshine, but Pisa really grasped their attention and they loved it. 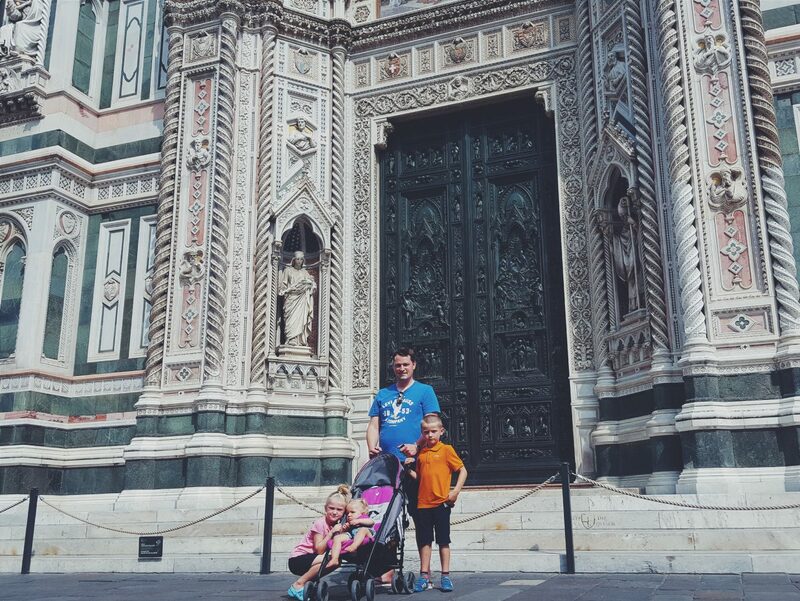 We went into the cathedral, which was free and then walked around the little streets… it was a great 4 or 5 hours! 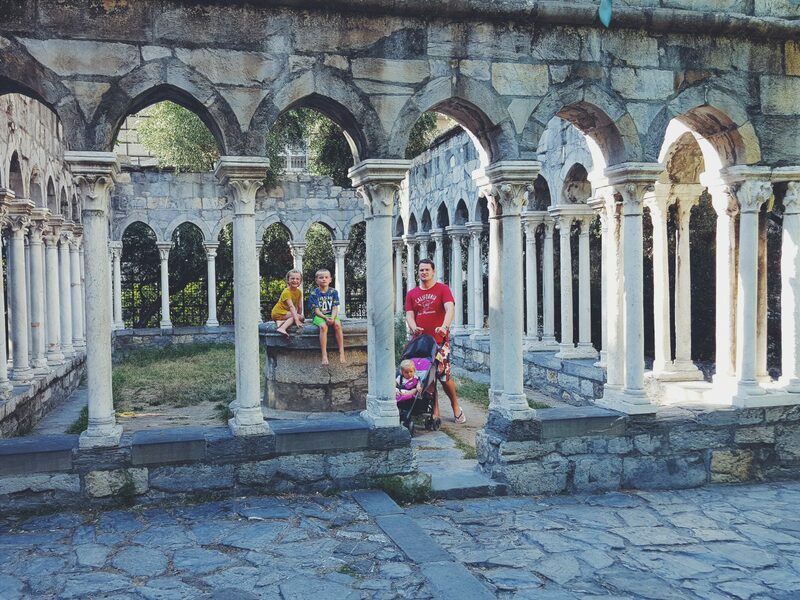 Pisa also has some great beaches and a park too that are very family friendly and we spent some time at these too later in our stay. The park in Pisa in on an archaeological site and has pretty little gardens as well as a play area that is well equipped. We spent a few hours here before flying home, and it was a nice relaxing morning and fun for the kids too. The beach we went to near Pisa was on our last day and was quite busy but a great spot all the same. We found a little patch of sand amongst the other visitors to nestle down in for a couple of hours to chill, dig and swim. It had man made walls to make it into a large outdoor pool which at the deepest point was only up to Ethan’s neck! 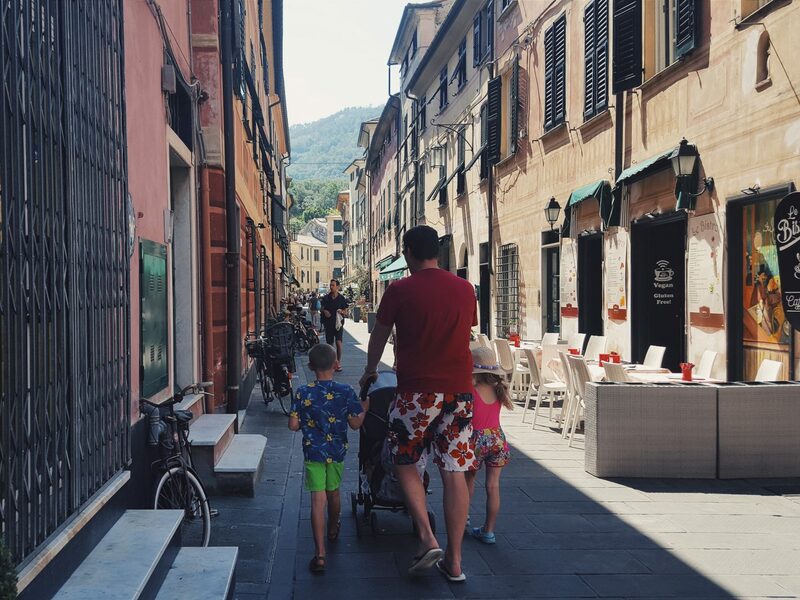 Pisa has a lot of currents so this ensured it was safe and the depth made it easier and more fun for families. It was a lovely beach and lovely afternoon soaking up far too much sun! 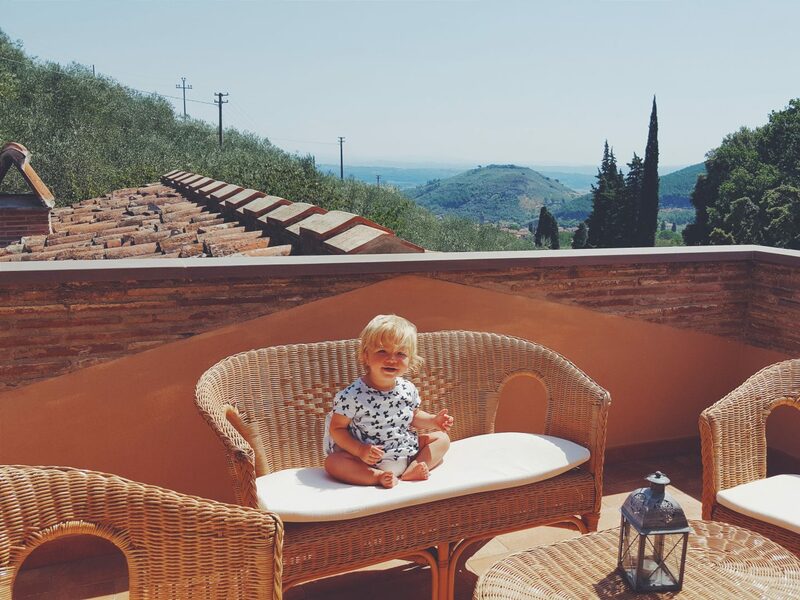 Tuscany is the perfect destination for a family trip, but also a place I would love to go just Nath and I. It has a great balance of beach, history and nature and is in great proximity to visit a whole host of famous and breathtaking sites. 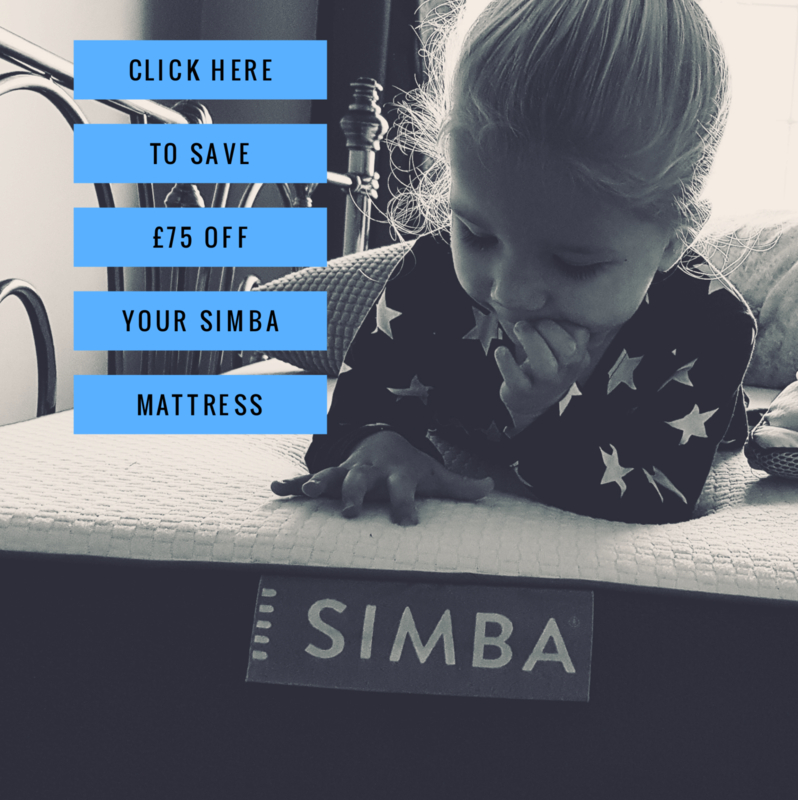 We paid just over £600 for our flights and accommodation, and I would definitely recommend hiring a car to make the most of your visit and turn it into the ultimate adventure. 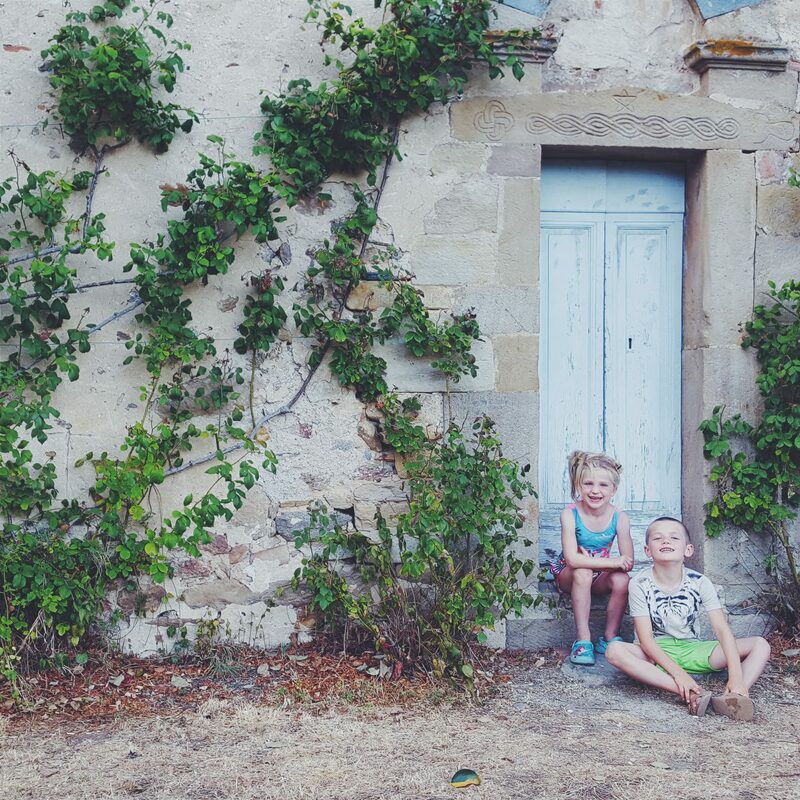 I loved our week in Tuscany – the food, our little farm house, the adventures, the sun. But mostly the company and the memories made there. 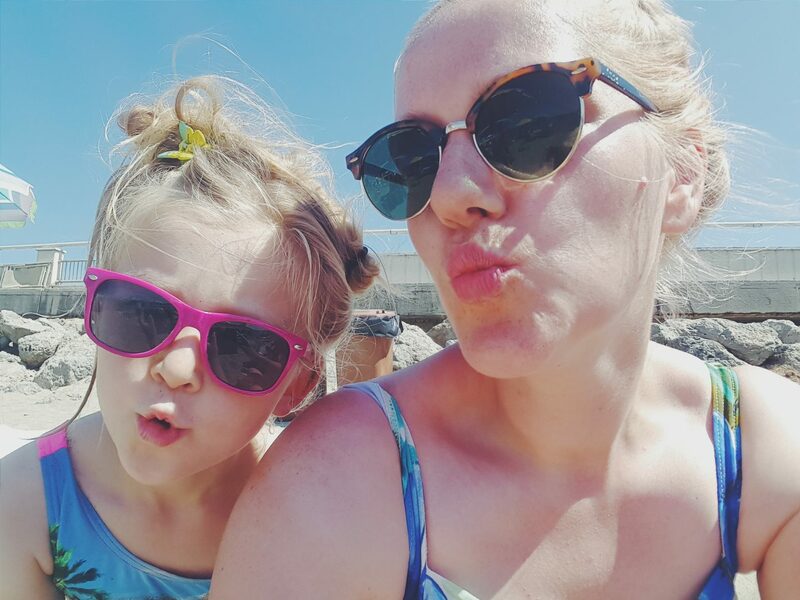 It was the ultimate adventure and a great Summer holiday! Our USA Holiday Part 2 – Utah! 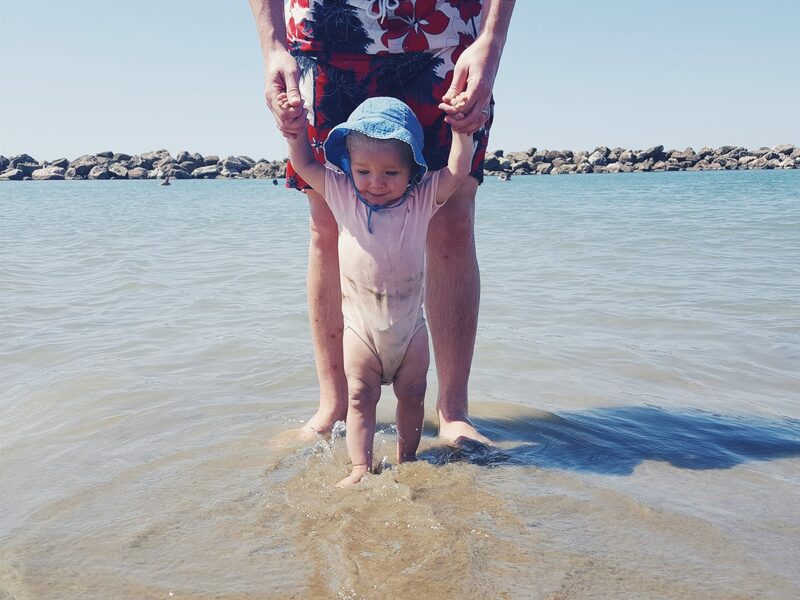 Previous Post The Ordinary Moments 2017 #27 – Standing Tall!